It's hard to believe Thanksgiving is next week! TESPA is very grateful for all of the support of our members. We wish everyone a wonderful Thanksgiving. While TESPA has been preparing for our hearing in March in the Needmore contested case, we are also involved in and following many other developments that are of interest to our members. Keep your eyes open for an email after Thanksgiving about our Giving Tuesday campaign and new membership levels. Please read below and don't forget to make a donation to support our efforts. Landowners in Bexar County may be facing an EP like situation despite the fact that a groundwater conservation district - the Trinity Glenrose GCD - exists in Bexar County. This is because Trinity Glenrose's enabling legislation exempts public water supply wells completed before September 1, 2002 from any regulation. See article in the San Antonio Express News. 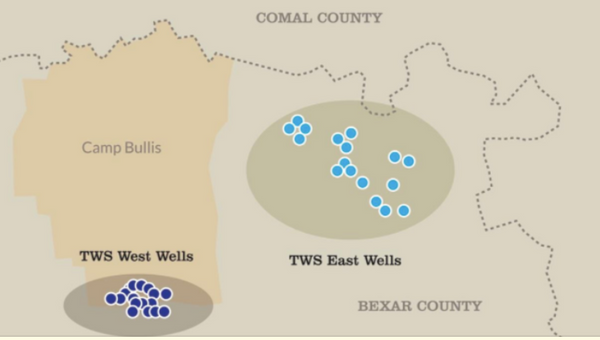 Texas Water Supply Company, LLC has plans to pump 32,000 acre feet from the Trinity Aquifer from two well fields to the south and to the east of Camp Bullis . See article in the San Antonio Business Journal. The area is in GMA 9 but on the border of GMA 10. Because Trinity Glenrose has no authority to regulate production from these wells, the developers can pump unlimited amounts of water even if doing so draws down nearby wells. Under the Rule of Capture, nearby landowners cannot sue the developer if their groundwater is depleted. This situation is yet another example of why the Rule of Capture, with respect to groundwater, deprives landowners of the ability to protect their property rights and why it complicates groundwater management (see article on EP situation). If this project produces 32,000 acre feet of groundwater a year, it will surpass the Modeled Available Groundwater for the Trinity Aquifer in Bexar County both in GMA 9 and GMA 10. According to the General Manager of the Trinity Glenrose GCD in a letter addressed to GMA 9 and GMA 10, "[t]he proposed additional withdrawal now makes it that much more difficult, if not almost impossible to manage this resource effectively and in concert with the DFCs set within our GMA." The Texas Supreme Court was incorrect when it said that the Rule of Capture is not antithetical to ownership of groundwater in place in its 2012 decision in Edwards Aquifer Authority v. Day. It may not be antithetical to ownership with respect to oil and gas development, but with respect to groundwater, the Rule of Capture prevents landowners from protecting their property--property which sustains life and must be conserved in place. It is the responsibility of groundwater conservations districts to ensure that groundwater is conserved. And this recent groundwater development project in Bexar County, just like the Electro Purification proposal in Hays County in 2015, is another example of how the Rule of Capture is preventing groundwater districts from doing their job. It is time for the Texas Supreme Court to abolish the Rule of Capture with respect to groundwater. TESPA made this argument with respect to EP, and we are ready to make it again. g. Emerging issues in groundwater and surface water interaction, in particular in areas of increasing competition for scarce resources. 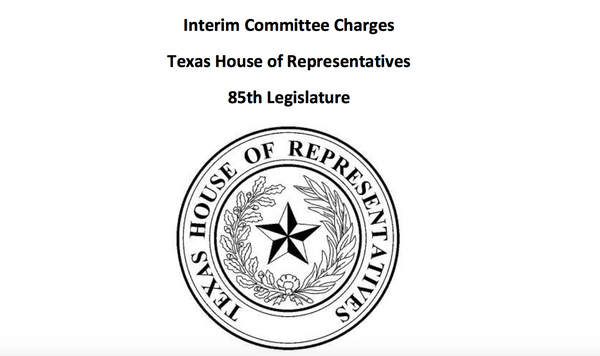 TESPA is looking forward to working with the Natural Resources Committee members on policy related to these interim charges and we plan to attend all Interim hearings on these matters and update members. 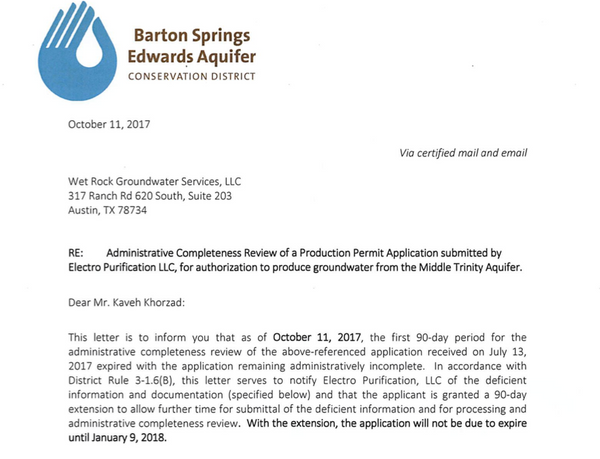 On October 11th, BSEACD staff sent Electro Purification's hydrogeologist a letter notifying Electro Purification that the application as submitted in July is deficient and requiring the applicant to submit follow up information within 30 days. Under BSEACD's rules, the District will notify an applicant 90 days after receipt of the application if the application is administratively incomplete and request that the applicant submit follow up material. Applications that remain administratively incomplete will expire 90 days following the notice to the applicant. In this case, BSEACD determined that in several respects, Electro Purification's application did not comply with the District's rules. For example, Electro Purification did not provide sufficient information to support the volume of groundwater it is requesting and the hydrogeological report did not adequately evaluate observation well data or the potential for unreasonable impacts. You can read the full memo here. TESPA is staying in touch with BSEACD staff and will be sure to update members. Last December, TESPA filed a contested case request to fight the Barton Springs Edwards Aquifer Conservation District's issuance of a proposed permit to Needmore Water. Needmore applied for a permit for 289,000,000 gallons of groundwater a year, and BSEACD projected that there will be significant drawdown as a result of this volume of pumping. 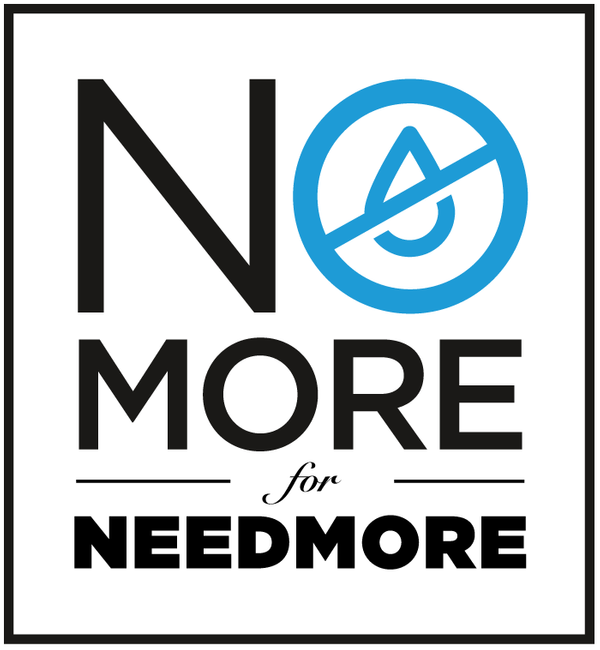 BSEACD issued a temporary permit to Needmore last fall. It is TESPA's position that BSEACD should never have issued the temporary permit in the first place, which allowed Needmore to apply for a permit without having to prove that it actually needs this tremendous amount of water. Read our contested case request. 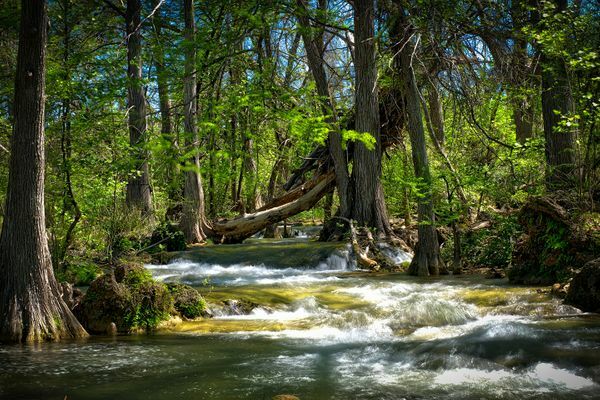 Needmore Ranch is a gorgeous, 5,000 acre property along the Blanco River, close to Little Arkansas Springs, a favorite swimming spot for locals in the past. Several years ago, Representative Jason Isaac and Senator Donna Campbell carried legislation that successfully created a Municipal Utility District on Needmore Ranch, sparking fear in the community that this beautiful piece of land would be developed. Read more here. However, the owner of Needmore Ranch, Greg La Mantia, has told members of the community that he intends to place a conservation easement on the ranch. The motives of Greg La Mantia remain unclear, but what is clear is that he has applied for a groundwater permit for far more water than he reasonably needs for agricultural use on the ranch. TESPA will pursue every feasible legal avenue possible to attack this groundwater permit. To do so, we need to raise money for attorney and expert fees. It is our hope that Mr. La Mantia recognizes that as an owner of a piece of the Hill Country, he has a responsibility that extends beyond his own personal property rights. He has an opportunity to be a steward--that with this ownership comes the responsibility to protect and conserve his land for future generations. Mr. La Mantia has the opportunity to create a legacy - to be remembered for preserving a large swath of the Hill Country landscape. As Wendell Berry wrote, "I am speaking of the life of a man who knows that the world is not given by his fathers, but borrowed from his children; who has undertaken to cherish it and do it no damage, not because he is duty-bound, but because he loves the world and loves his children."